I guess the ball started rolling when my father got hooked on anime. He tried to get the whole family addicted too, but the only family member he got some decent results was me. 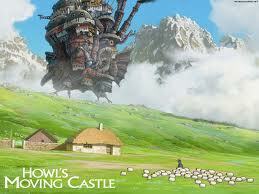 I started with the famous Howl’s Moving Castle and then Elfenlied. After Midori No Hibi, there was no way back. It was a new world that had opened for me. After a lot –and I mean a lot- of hours watching I realized good anime series were getting scarce. I didn’t watch much anymore. My father had realized the same. Instead of anime he was now a big on reading mangas. I tried a few, but never got sucked in like I was with the anime. After more than two years of nearly completely putting a stop to my anime watching hobby, I also finished up a lot of the American series I had started to watch. I picked up anime again, since some series had a new season and there were some good new animes too. Then I remembered that I watched real life series too. They were recommended by some anime friends. I had watched ‘200 Pound Beauty’ and ‘Hana Kimi’. After the painful but addictive watch ‘Boys over Flowers’ I had stopped and forgotten all about them. I decided to give them another chance, and I still don’t regret it. I’m not a girl who gets swooned away by the nice looking actors (but I must admit it helps sometimes), or by the newest fashion or gadgets shown. I love romance, but I’m quite particular about it. Above all I want my plot to be good. This makes me a bit picky, even though I do give chances to a lot of series and films. But what I really want is to be able to share my passion and honest opinion with other people. I hope to get more people to watch these wonderful stories. Drop a note in the comments to let us all about know your story! 9 July 2013 in Articles. i just stumbled on this while searching for explanations for Nine: Nine Time Travels ending (just finished watching it and still trying to process everything lol) but just wanted to say Howl’s Moving Castle was my first anime too and I’ve been hooked ever since! and boys over flowers was my first k-drama but Nine is the BEST! @Dewi_id Yes, definitely worth to watch. Ending can be a bit confusing. @_Hemin One of the best moments in the series. #NiceGuy #InnocentMan Revenge and melodrama go to a new level.